There are numerous tips doled out to women on grooming nowadays, which include those on what to wear, which jewellery to choose, what make-up to don and when and how and what hairstyle to adopt, and so on. But one essential aspect of grooming that escapes our attention is that of wearing a smile! We hardly realize that no dress, no ornament, no makeup and no-anything of its ilk can surpass the impact of a smile, which is the most beautiful ornament ever discovered! A smile is the language of inner culture and silent music from within. A smile invests life with joy and warmth. The most beautiful aspect of grooming has eluded us because we are too busy looking for the decoration of our body outwardly. By this, we miss this vital aspect of grooming, our inner self. 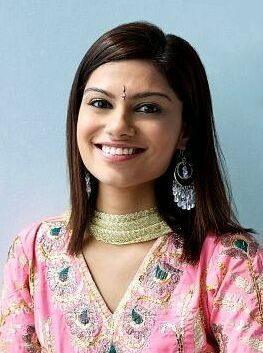 A smile reflects an inner personality, which is at immense peace with oneself. An inscrutable tranquility and equanimity of mind, that pervades within, casts its radiance outwards in the form of a serene smile. This may sound a bit weird or even profound, and hence impractical in this era of instant foods and instant makeovers. It is true that a smile cannot be dispensed over the counters of beauty salons or chemists, like OTC drugs, but it can be cultivated by our own devoted efforts and the inward development of our personality. Once you are attuned to develop your inner personality and you realize that you are one facet of the many, you may find inner peace – and a smile will be the natural outcome. “Is it possible for me to have the sublime smile of Shri Ramakrishna or that disarming smile of Mahatma Gandhi?” you may ask. Well, setting these smiles as our ultimate goal, we too can advance on our own, in our limited way and I am not advocating something very very practical. If a mother can master such a smile, so effortlessly, why can’t we? If a child can flash it, so instantly, why can’t we? You must have met some persons who are always wearing a smile. I have known such friends and discovered from them that they are at peace with themselves and the world around, despite many things that sadden them. They have cultivated a practical approach to life and its adversities and hence they are not disturbed. The term “cultivating” connotes artificiality or unnaturalness and many professional smiles are, indeed, laboriously cultivated – like those of shopkeepers, salespersons, attendants, hoteliers, brokers, actors, models, courtesans, villains, tricksters, conmen, etc. These persons are trained to wear a smile, charm and woo – like the spider inviting an innocent fly into its parlour! But then, smiling is vital for their profession and, in any case, any type of smile is btter than no smile at all. However , we are here to promote a smile that truly reflects your genuine feelings of love and consideration for others – and this, too, can be cultivated by conscious effort initially. Then, it will gradually become a part of your inner development – so much so that with time it will come quite naturally and easily to your lips. I think that a refined sense of humour could help in developing such an attitude to life where one can keep one’s poise and balance of mind, and laugh at life’s little troubles. Such a person can face any situation, however adverse, with perfect equanimity. 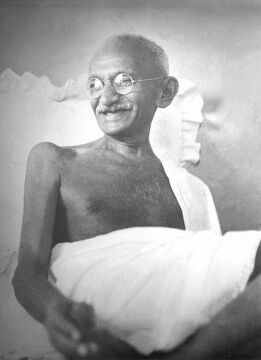 Gandhiji once said, “Had I not a sense of humour, I would have committed suicide long back.” He was under immense mental pressure all along, but he carried his burdens lightly, as he had a good sense of humour. That beaming and captivating smile of his never withered from his face. I can illustrate this aspect with an episode. Once, after his evening prayers, a visitor to his ashram started lecturing to him about the source of milk and its effect on our nature, saying, “If we take buffalo’s milk, we become lethargic, dim-witted and idle…, if we take cow’s milk, we become mild… pious…” and so on to a long-winded talk. The ashram-ites became restless but Gandhiji kept on listening, with a smile to the man, and then he interjected at a suitable moment, “Well, I a taking goat’s milk and I am afraid I may hit you with my horns-to-be, if you continue further…” There was a burst of appreciative laughter all around and Gandhiji beamed his famous smile! I think that an approach of detachment to life can also help in cultivating a mental attitude that can lead to inner peace of mind which will manifest outwardly as a natural smile. Such a person is at ease with his surroundings and can put up with all who come into contact with him. I may further add that, like swimming and cycling, a smile has to be acquired by self-effort, as there could be some imponderables that defy description. It is a self-taught art, ultimately. It is said that great minds think alike and hence it would be interesting to discover what poets if different lands and climes have sung in praise of the smile. Our Sanskrit literature is full of terms like smit (smile), Smita Susmita (a smiling lady), Suhasini (a lady with a beautiful smile), and Prafullavadana (a lady with a smiling, cheerful look). If some scholar makes a systematic research on the significance of a smile in Sanskrit literature, it would make an interesting treatise. And tell me whereto can you liken it. My storm beaten heart likewise is cheered. If so be, you ask me where they do grow? Rabindranath Tagore has described 18 types of women in his Namni group of poems, depicting typical characteristics of each group very artistically. The sadness of the world cannot touch her. If poets are enchanted by the beauty of a maiden’s smile, can painters be far behind? Leonardo da Vinci’s Mona Lisa is a classic example of a maiden’s smile and our Ajanta frescos abound in celestial figures wearing bewitching smiles. 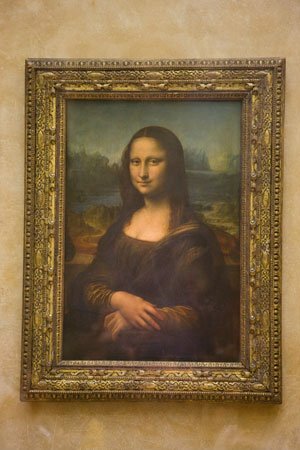 The bewitching smile of Mona Lisa has enchanted people through ages. Our ancient sculptures in the Ellora Caves and numerous ancient temples are veritable gold-mines of enchanting smiles of a bewildering variety. In dance forms, the Bharat Natyam dancer is usually wearing a pleasant smile (Prasannamudra) unless he or she is expressing other moods. So, it is with other dance forms. Amongst navrasa: nine expressions of moods – Shringar, Shanta and Hasya are accompanied by pleasant dispositions. The mime artiste uses his or her smile with a telling effect, when so required. So do our folk artistes express rustic charms and pleasant situations with their natural smiles. Our ancient sage Vatsyayana in Kamasutra describes 64 arts to be accomplished by a maiden for her perfect grooming and also 16 types of adornments (Shringar) for a body beautiful, but all through these a pleasant disposition, i.e., a smile, runs like a binding thread in a garland of flowers. Without the thread of mental cheerfulness, these flowers would fall apart. A well-groomed woman without a smile is like a beautiful temple without a deity. I have laid stress on cultivating a smile, as it is often neglected. However, it should be stressed here that cultivating a well-groomed look is not a solitary phenomenon but should be part of the integrated personality of a woman or a man. Emerson describes many traits thereof, emphasizing that nothing on earth is solitary but everything has affinities infinite. Hence, a well-integrated personality – with a zest for life, serenity, cheerfulness, sense of humour, a balanced outlook on life and beaming a captivating smile – can touch the deepest cores of other’s hearts and invest living with a new and vibrant meaning. A smile has a great potential and hence, we often say that a smile is a curved line that straightens everything! I think that if you find things you enjoy doing and people that you enjoy being around, you'll be happier and this in turn will make you smile more often. lol i know this is gonna sound completely stupid, but its the only thing that works. Just think of the happiest moment in your life or how awesome it would be if you did something amazing you've always wanted to do....you automatically smile...its just in the human brain to do so. Memories, my friend, are the key. I have really nice, straight, pearly white teeth. But, I get so socially uncomfortable that I forget in a way to smile. There are ways to overcome this. You might try thinking of something that happened in the past that was extremely humorous and have that in the back of your mind at all times. Second, focus on the present. So many times, people focus on things in the past and what will happen in the future. Focus on "the now" and how you're feeling. The emotions (and if you're a happy, a smile) will occur naturally. Also, keep in mind that you will not always be happy, so it is ok to not be smiling when you feel low. One of my best friends isn't the most attractive person I've ever met but when he smiles - the girls go absolutely crazy! 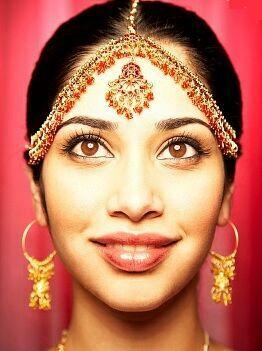 Women's eyes and smiles are two most powerful factors that make them more attractive. Thanks for sharing your all tips. take laughing lessons...bring home some funny movies and have a good laugh. A smile shows in that your eyes twinlke (the twinkling somes from enthusiasm and emotions from the heart). Maybe you can master the twinkling eyes and don't need the smile lift. Just try smiling all the time, (when no one looks) and you might develop nice cheekbones. Avoid the use of additional accessories such as nose rings and tattoos in business.